We have been looking at World War 1 with a focus on thanking all of the people and animals who served our country. Across the school all pupils have taken part in a range of activities to give them a deeper understanding of what happened both during and after the war as well as the impact on all people (men, women, children and animals). To bring our week to a close each pupil painted a rock to create a school poppy in memory of all of the servicemen in WW1. Well done to Lily Morris in Year 6! 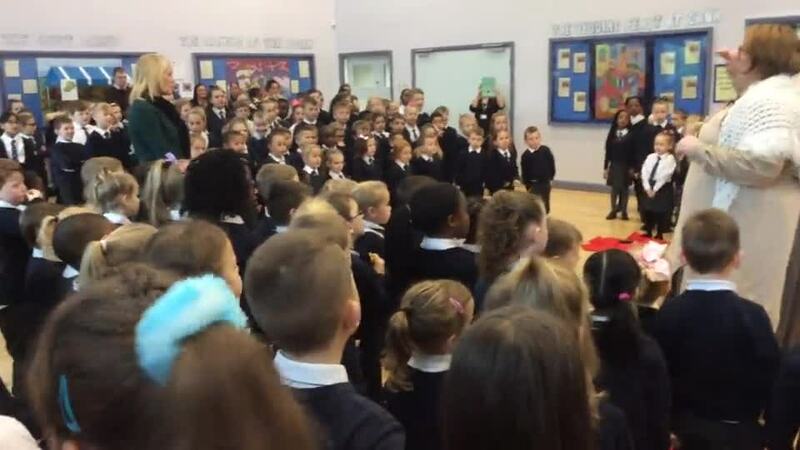 Lily entered a Remembrance Poetry competition along with thousands of other children. Lily's amazing poem came in third place! You can view her poem on the Royal British Legion's website. Nursery and Reception have spent their week learning about Remembrance and WW1. They have talked about how important poppies are and have created some poppies of their own. Year 1/2 have spent their week learning about WW1 and the strategies used for recruitment during the war. Lower Key Stage 2 have spent their week learning about women and children in WW1. They have studied the roles of women and how these changed when the men went to fight in the war. They also studied Child Mill Workers, where they focused on a day in the life of a cotton mill worker. Through their work they have thinking about being responsible for creating a peaceful community to live in. Year 6 wrote war poetry and then created some poppy art.